What happens when you take outstanding capability and add in a healthy dose of next-generation innovation? The result looks a lot like the 2018 Ram 1500 for sale in Ellisville, MO! 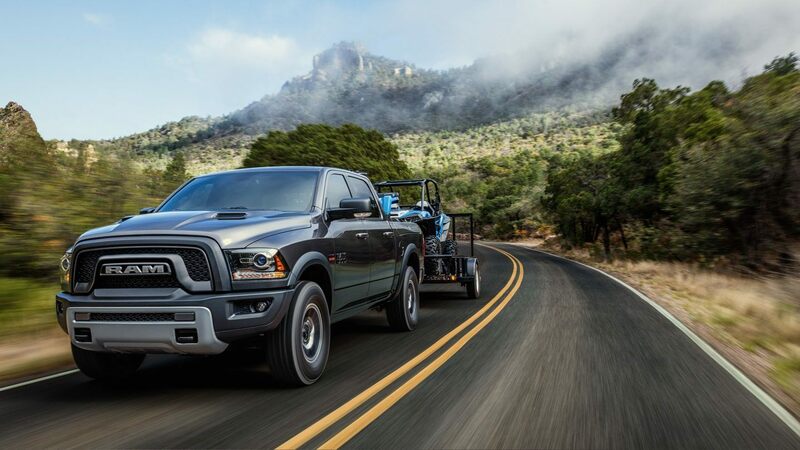 This award-winning, multi-trim model is packed with functional and exciting features like sophisticated smartphone control and clever storage options that go beyond the truck bed, proving exactly why Ram half-ton truck owners are among America’s most loyal. See what else the 1500 has to offer and explore our entire inventory of vehicles when you visit our lot and showroom here are Royal Gate Dodge, centrally located near the cities of O’Fallon, Fenton, and Glendale, MO. Thanks to money-saving specials on vehicles and maintenance, alongside a staff committed to excellence in customer care, you’ll have a great time getting a great deal on your dream car at Royal Gate Dodge! 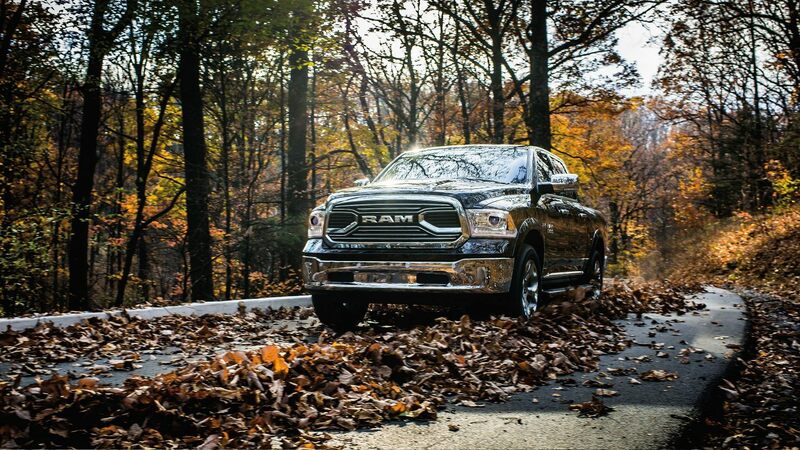 Led by a redesigned RAM grille and available in several distinct trims and cab sizes, the 2018 Ram 1500 in Ellisville, MO, is a stunning sight on the road. Seamless wheel-to-wheel side steps and the class-exclusive Rambox® Cargo Management System are just a handful of the available features that have the potential to make this your dream truck. Inside a cabin that manages to be both luxurious and durable, every knob, setting, and surface was designed for maximum ease of use, starting with the elite Uconnect® command center. Opt for the available 4C NAV version to get an 8.4-inch color touchscreen display and hands-free access to useful features like GPS navigation and smartphone integration from Apple Car Play®/Android Auto™. 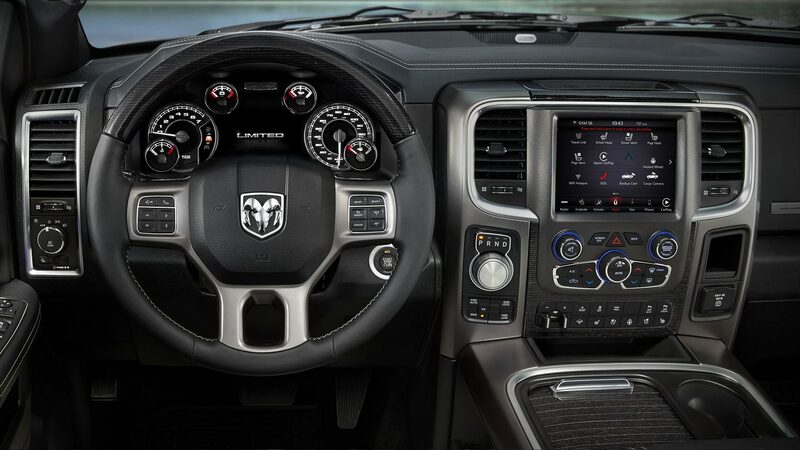 Discover many more features when you stop by and browse our 2018 Ram 1500 inventory near O’Fallon, MO! The 2018 Ram 1500’s superior performance starts with its standard 3.6-liter Pentastar® V6 engine, featuring variable valve timing, advanced thermal management, and a best-in-class 305 horsepower. If your day-to-day tasks require something with a little more power, consider upgrading to the available 5.7-liter HEMI® V8, a proven machine that delivers 395 horsepower and 410 lb.-ft. of torque. Those who prefer a diesel experience are in for a treat! With 240 horsepower and 410 lb.-ft. of torque, the 1500’s 3.0-liter EcoDiesel engine was named on Ward’s annual 10 best engines list in 2017. The Ram 1500 continues to lead the class with exceptional features like its Torqueflite® 8-speed automatic transmission and the Active-Level™ Four-Corner Air Suspension, allowing drivers to choose their preferred ride height setting. Test drive a 2018 Ram 1500 near O’Fallon, MO, for the full experience!